 Our wealth planning philosophy is rooted in a dedication to knowing you and your family personally, so that we can understand your financial picture, along with your goals, interests, and concerns. Our Wealth Advisors leverage the internal resources of the firm, as well as trusted outside professionals to develop and implement personalized strategies to achieve our clients’ goals. Our approach to planning is not a one-time exercise and your plan evolves as your family’s life and wealth change. We will work together to define retirement goals and develop a path to attain those goals through a detailed analysis of your current financial situation and the varying decisions that will lead to different future outcomes. With wealth comes additional complexity around your tax situation. We develop our investment and planning recommendations in collaboration with your tax advisor(s) to minimize the impact of taxes. Our team works in partnership with client’s estate attorneys to make sure their wishes are aligned with the structure and implementation of their estate plan in an organized and tax-efficient manner. We aim to provide a sense of safety and comfort for you and your family. Our team reviews your insurance strategies to make sure everything is setup properly and to identify potential gaps that can leave your family exposed to the uncertainties of life. Our clients benefit from customized performance reporting on all their assets (Vivaldi managed and outside), as well as the creation and tracking of their net worth statement. We will work with you to identify and implement your charitable goals using the most suitable strategies for your family’s situation.